Mark plays a key role in the responsibility of the firm’s marketing, computer drafting and detailing, material and color selections, and construction administration. He has a long track record of ensuring projects are delivered to the highest quality, within budget, by effectively organizing, managing and utilizing all resources. Mark enjoys working and meeting new and current clients and being challenged to create cost-effective and innovative designs. He considers every project that he is involved in as a direct reflection of himself. Therefore, he makes it a priority to carefully listen to his clients and strive for perfection and attention to detail. One of Mark’s recent notable projects he currently is working on is the Russell County Courthouse addition and remodel. This particular design allows him to create a successful design which involves multiple departments, blending the exterior of the addition to match and preserve the rich historic appearance. Additionally, he led the firm’s team on the conversion and addition of the Great Bend Activity Center, giving him the opportunity to transform an existing space and design a significant addition that meets current and future needs of the community. The design featured a new pre-engineered building with a full size gymnasium with wood floor, metal seating, and basketball and volleyball equipment. Also included was a spacious recreation area, meeting rooms, full size kitchen, locker rooms with showers, restrooms, reception, and offices. 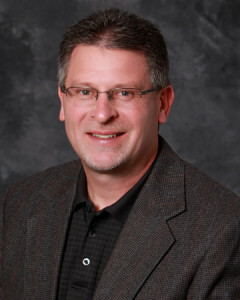 On an on-call basis, Mark is responsible for projects with the State of Kansas. These project assignments grant him the opportunity to design a variety of different, but yet basic, scopes of work that vary from reroofing, window replacement, masonry repairs, and interior upgrades to small additions. Mark has resided and raised his family in Salina for 23 years. He appreciates the small town feel Salina offers. He enjoys that Salina is favorably centrally located in Kansas permitting easy convenient travel to larger cities. When Mark has time for leisurely activities, he enjoys hunting, particularly deer hunting, and watching and attending sporting events.